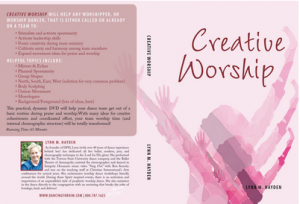 This practical, dynamic DVD will help any dance team get out of a basic routine during praise and worship. Instead of spending most of the worship time either following the leader or individually dancing, this video will give many ideas for creative cohesiveness and coordinated effort. Your team worship time (and internal choreographic structure) will be totally transformed!! Be sure to add this one to your cart today. You need this one.